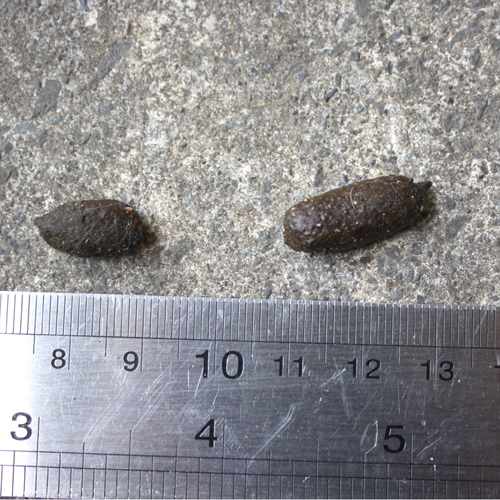 The dark colour of these droppings is probably due to diet rather than age, as they are no more than two days' old. Note the fragments in the droppings, which can sometimes, be recognisable animal or insect remains. Photograph: by Astrid van Meeuwen-Dijkgraaf, 2015.